Niko’s veterinarian shop is located in a busy Didube bus station that hosts hundreds of marshrutkas (minibuses), a massive market and a general air of pure chaos. But the store, overflowing with products no longer in high demand, belongs to another era. Niko’s quiet shop attracts only a few customers from the circulating passers-by. 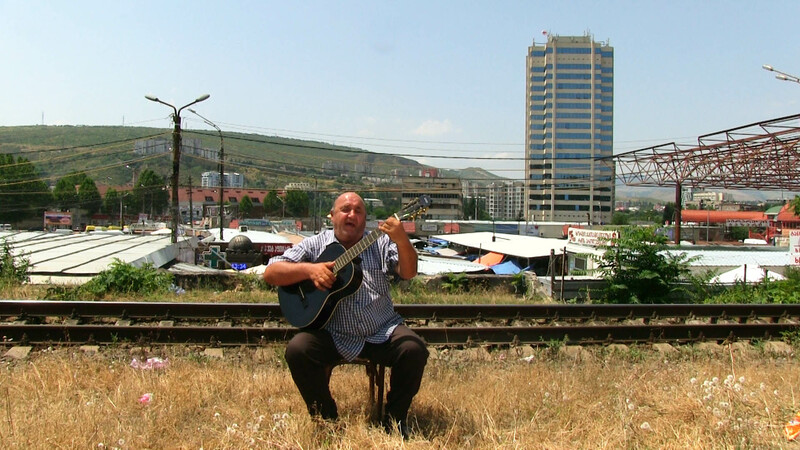 His regular visitors are an itinerant troubadour and an elderly street vendor, who come to complain about their health and to listen to Niko's poetry. In this sensitive, compassionate, and humorous snapshot of contemporary Georgia, the Didube terminal is only a pit stop to somewhere else.